Two Little Fishies Calan-Eeze is a mixture of artcic copepods ranging in size from 2-3 mm that have been freeze-dried to lock in their nutritional value. 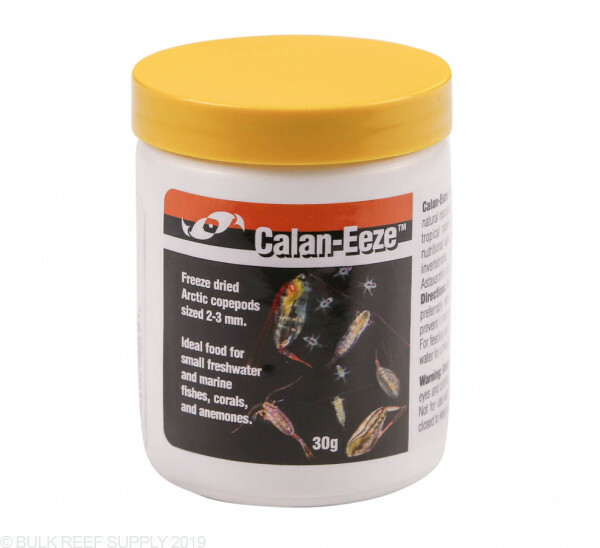 Calan-Eeze is a great food for corals or fish with small mouths. Due to customs restrictions we are unable to send this product to Canada. The copepods used in Two Little Fishies Calan-Eeze are harvested from a sustainable source in Norway. They wait to harvest them until they are the perfect size for fresh and saltwater fish with smaller mouths. 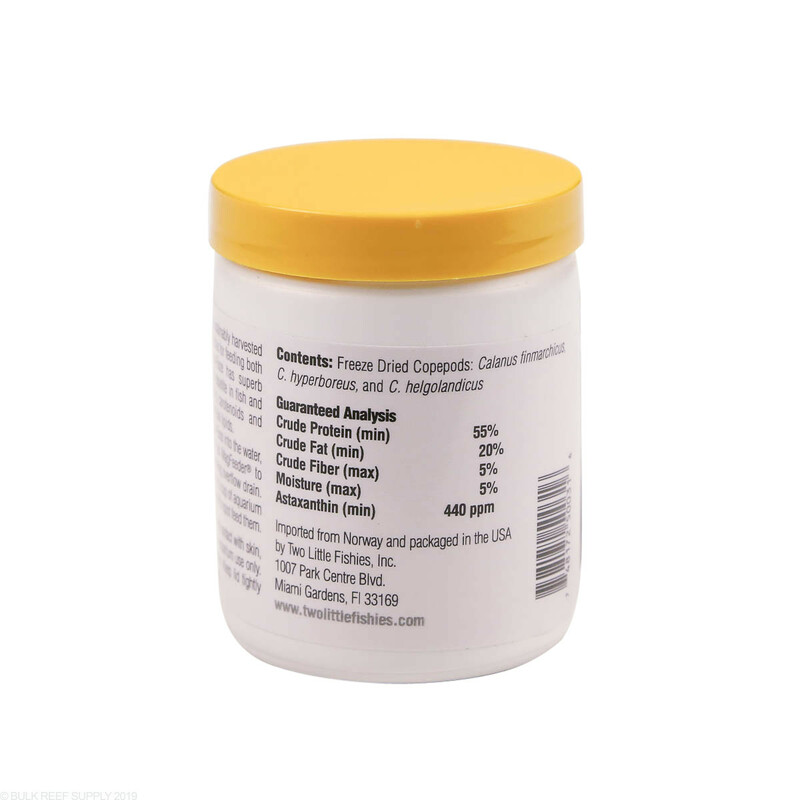 The fish food is naturally high in proteins, color promoting astaxanthin,and beneficial lipids. 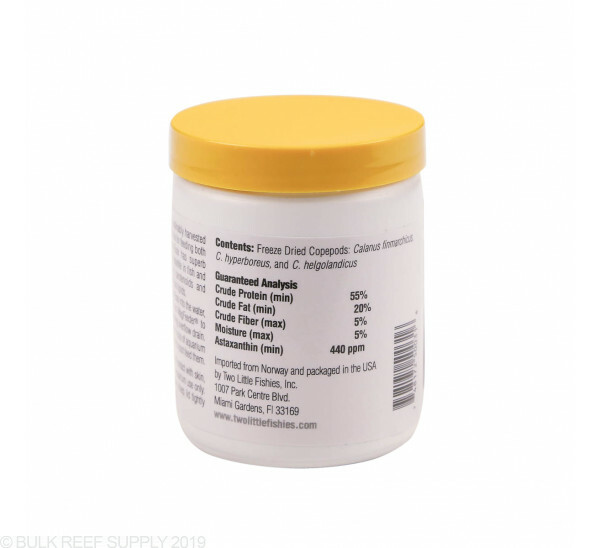 The Copepods are harvested live and then flash freeze-dried to lock in all the nutritional value. 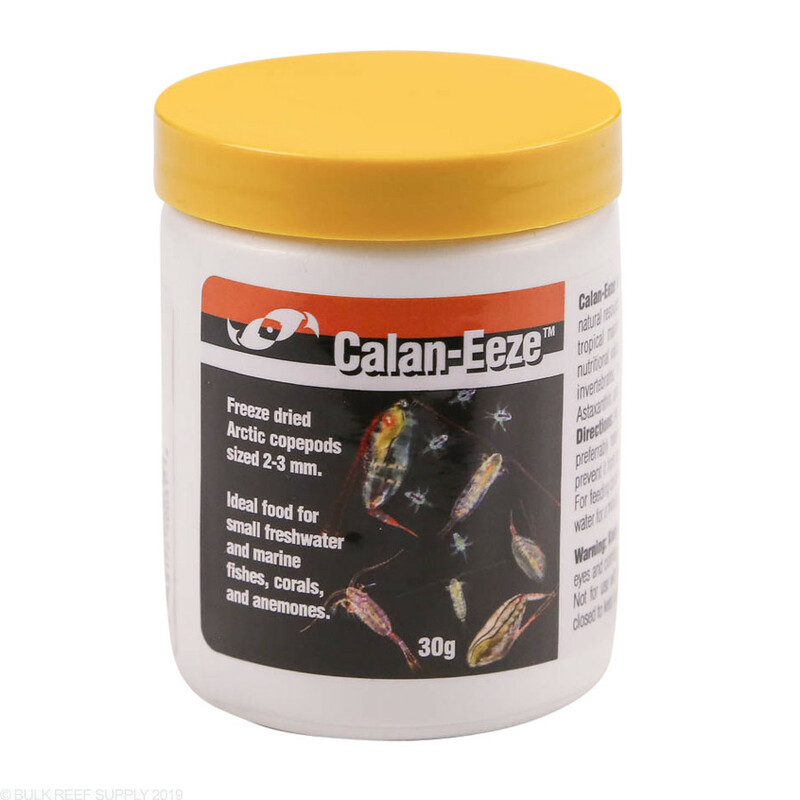 Fish: Sprinkle enough Calan-Eeze that your fish can consume within a 2 minute period into a feeding ring like the Two LIttle Fishies MagFeeder to keep the food from flowing into the filtration system. Coral: Turn off all flow in the aquarium. Soak Calan-Eeze in water for a couple minutes and then using a turkey baster or similar feeding tool, slowly spot feed corals. Freeze Dreid foods will have a natural tendency to float until they are re-hydrated. For best results rehydrate freeze dried foods in fresh water for 2-3 minutes before feeding to the tank. First this is a nutritious food, no doubt. Problem is this stuff floats even after soaked for 30+ minutes, it also has a tendency to stick to the sides of your tank above the water line. Seems almost to small for any type of fish really. Due to its incredible buoyancy, I’m unable to target feed any corals. High protein and fat content . Every fish in my reef tank loves this stuff. I use several types of food on a regular basis, none of the other foods causes the reaction from the fish that this food does. I use Two Little Fishies Alk & Cal and a lot of other products. they make. My fish go crazy for the CALAN-EEZE as soon as I drop in the Two Little Fishes feeding ring... Even my picky Powder Blue goes after this stuff.. HIGHLY recommend... 5 stars a cross the board on this product.